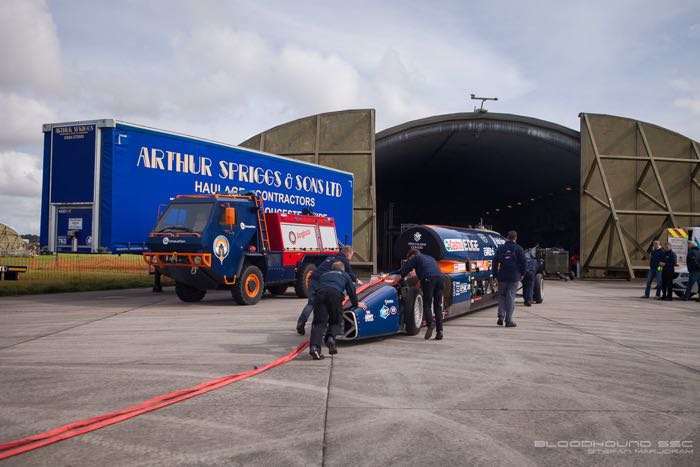 The Bloodhound SSC is getting ready for its first public run, this new run will be its first set of tests before its world record attempt of 1,000 miles per hour. The first public run is taking place at Cornwall Airport in Newquay today. As this is a working airport, the test run will take place in between scheduled flights landing and taking off. 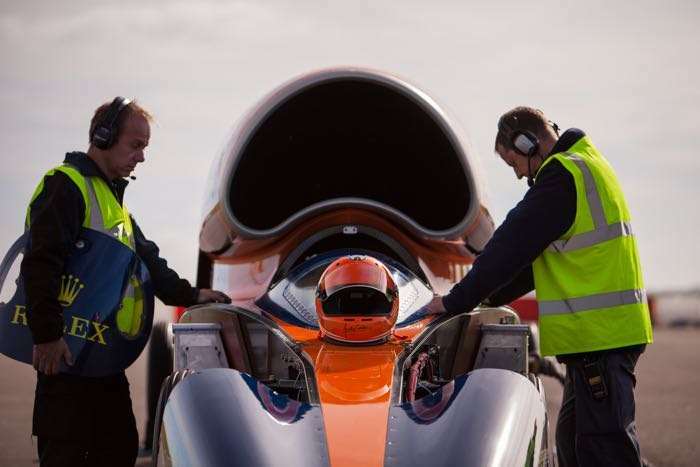 The aim of the Bloodhound SSC is to break the current land speed world record. The record is 763.035 miles per hour and it was set 20 years ago by the Thrust SSC and Wing Commander Andy Green, who will also be testing out the new Bloodhound today. The car will be driven to a speed of 200 miles per hour and there will be two test runs taking place at the runway in Cornwall today. The ultimate goal of the Bloodhound is to travel at speed of over 1,000 miles per hour as well a breaking the current world record. This is a pretty significant moment for the team behind the Bloodhound as this is their first public test, lest hope everything goes well for them and they can move onto the next stage of testing. You can find out more details about the Bloodhound and their world record attempt over at their website at the link below.